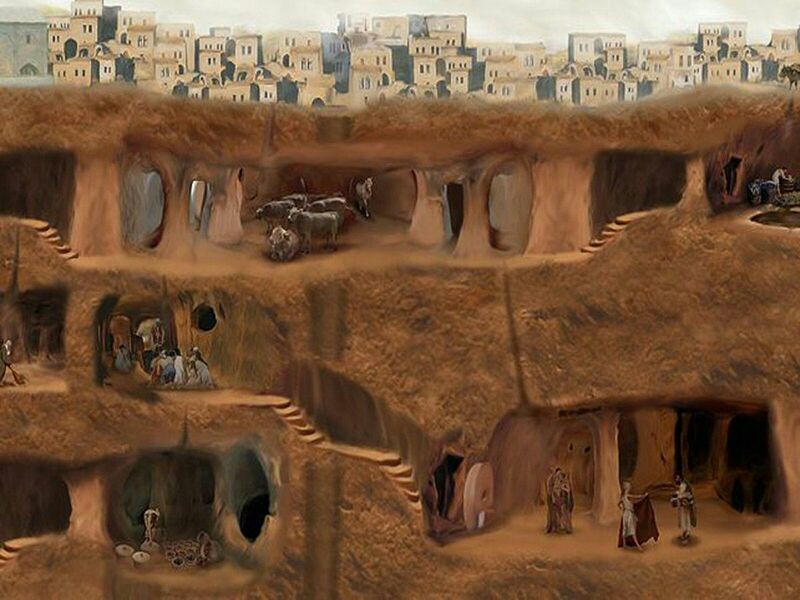 The elaborate subterranean network included discrete entrances, ventilation shafts, wells, and connecting passageways. 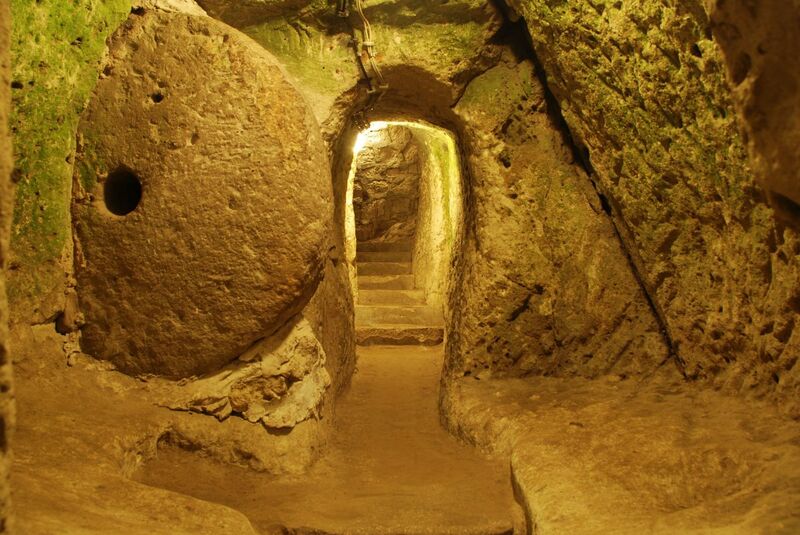 It was one of dozens of underground cities carved from the rock in Cappadocia thousands of years ago. 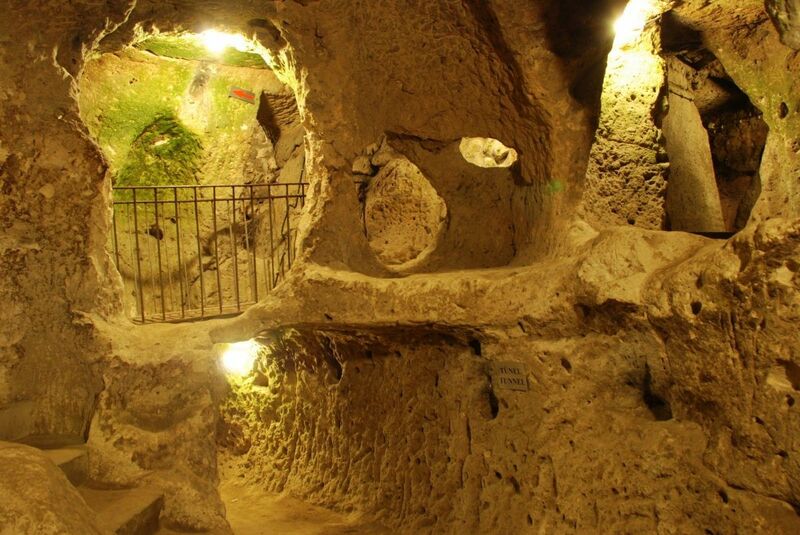 Hidden for centuries, Derinkuyu’s underground city is the deepest. 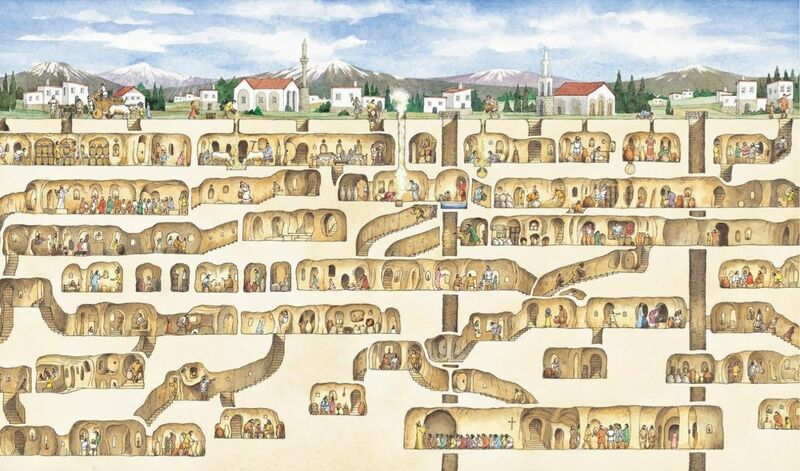 The Derinkuyu underground city has 11 levels, extending to a depth of approximately 60 meters (200 ft), it is large enough to have sheltered as many as 20,000. 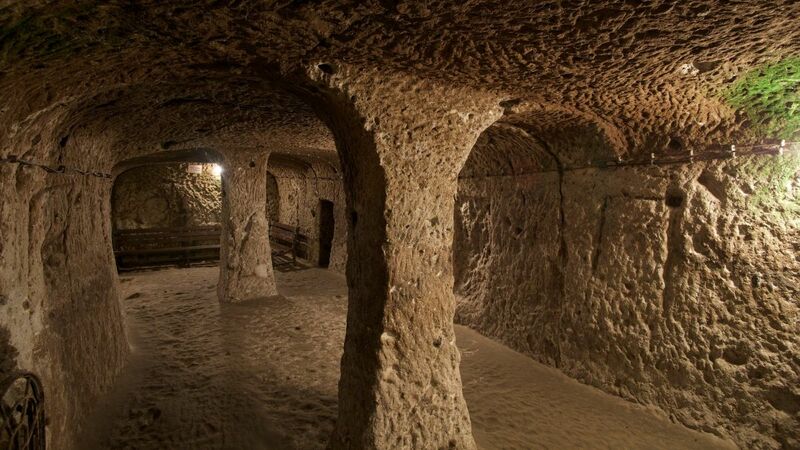 It has wine cellars, stables for livestock, and even what appear to be chapels. 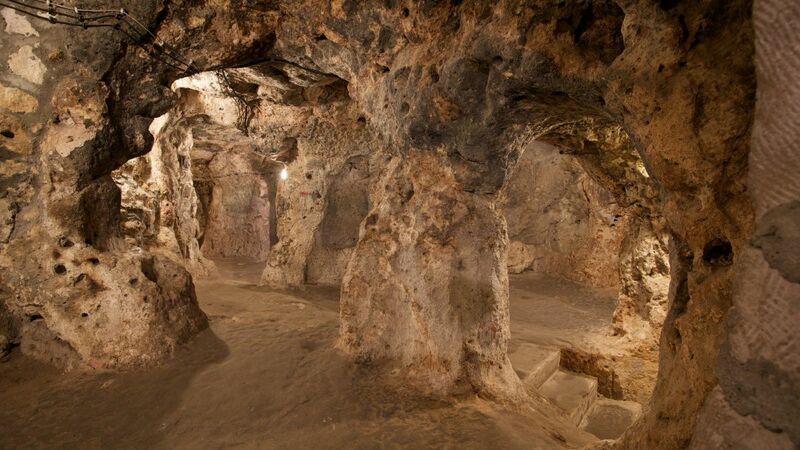 The openings to each level are guarded by a huge circular rock door that can be shut by a single person from the inside to keep people out. The opening in the center acts as a peep hole. It also has an air ventilation and pluming system. 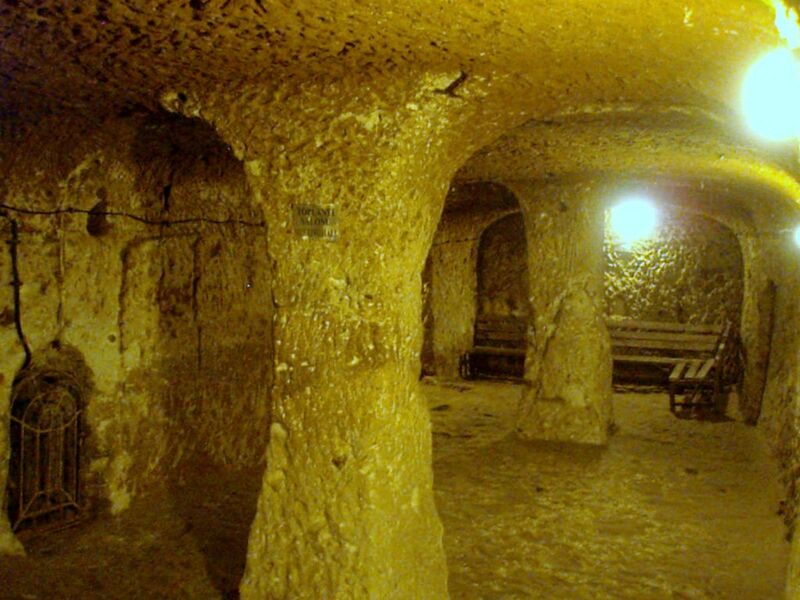 The largest vent also acts as a well.